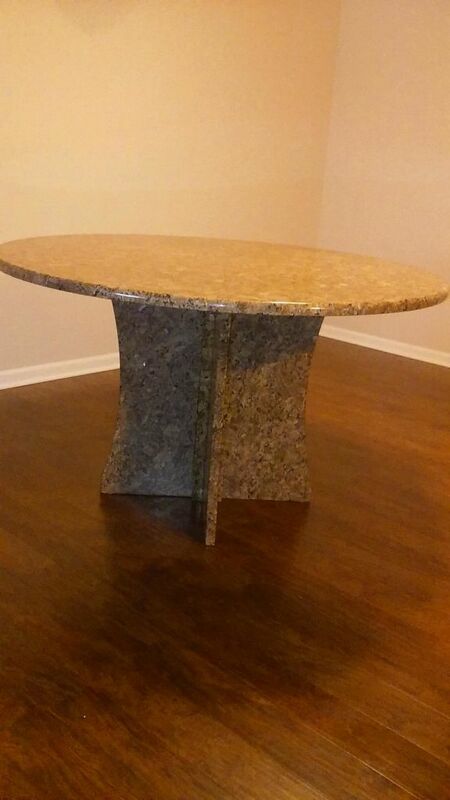 Fancy Giallo Fioritto for Round Granite Table , Nice and high quality polished water fall edge , Custom make with modern X shaped and arched base , Professional workman ship and high quality Granite material . Shelby Twp. Michigan .